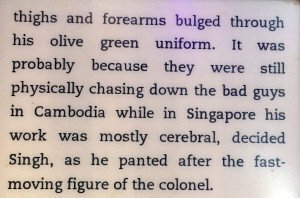 I am an unabashed fan of the Inspector Singh series, so please don’t misunderstand me when I say that “A deadly Cambodian crime spree” is possibly the best book in the series thus far. The previous three books are all brilliant reads, don’t get me wrong. Good, funny, insightful, all-round great detective novels. But the Cambodian story reaches new heights. 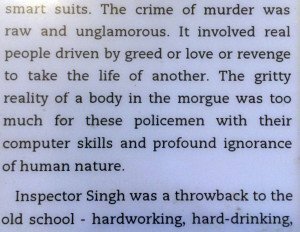 Not only is it a cracking whodunnit, as we have come to expect from Ms Flint, but in this book we see Inspector Singh confront issues of morality on a colossal scale. 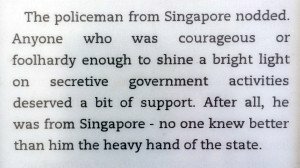 And in the process, we learn so much more about this larger than life man, whom up until now we know delights in irritating his Chinese bosses as he stubbornly refuses to conform to the Singaporean notion of policing. But in this book we see him out of his usual world and confronted with the on-going trauma of a collective genocide that makes his hunt for the murderer of a trial witness at times seem a puny task. What is one death amongst so many millions? 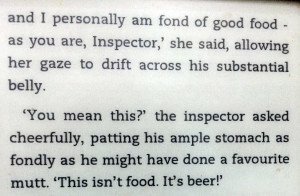 But Inspector Singh has his own moral touchstone. He is a policeman and as such he will hunt down the killer of one man, whilst attending the court hearings into the genocide trials. 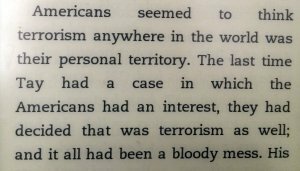 Sent to be the ASEAN watchdog at the War Crimes Tribunal in Phonm Penh, the Singaporean Sikh copper enters a realm of such collective evil and horror that he (and we the reader) often recoil in disbelief at the testimony we listen to. This was one of the aspects of this book that differentiates it from its predecessors – the delving into the history of this poor benighted country. But all this is not to say that our good Inspector has lost his zest for life. True, Cambodia and the things he hears in court shake this good man to his moral core, but that doesn’t stop him being hungry all the time, and irritated that his trademark white sneakers get dirty as he pounds the dusty streets of Phonm Penh. He hates the local food, hates the heat, is captivated by a beautiful, enigmatic Cambodian woman called Sovann, and, if the truth be known, he may just have met his match in his local sidekick, the feisty, outspoken, hard-working, driven Chhean. 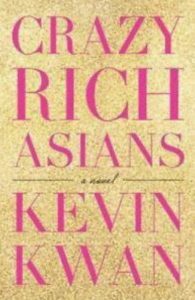 She is a brilliant character, an orphan searching for her own missing family, and outspokenly contemptuous of the Cambodian police and the Cambodian government. 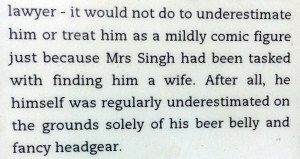 This delightful young lady is also unable to restrict herself to the limited role of being Singh’s interpreter. 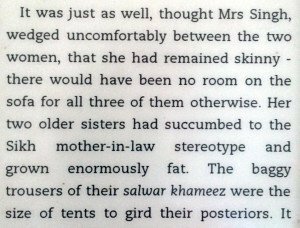 Thank goodness that Chhean doesn’t just stick to translating from Khmer for the good Punjabi Inspector, because her no nonsense approach and her ability to deliver great hit-the-nail-on-the-head oneliners are one of the many joys of this book. In Menhay, the embattled local policeman tasked to ensure the tribunal is seen to run efficiently, we have a fascinating man. Stubborn, honest in a country where an honest cop is, seemingly, an uber-rare commodity, we watch the growing relationship between Singh and Menhay, as they are made joint in charge of the murder investigation that threatens the future of the tribunal. I loved this book, not only for the story and the brilliant plot, for the trademark humour and Singh’s observations about Cambodia, but also for the fact that this enjoyable story is encased within a wider scenario. I was moved by the horrors we hear about, and, like the good Inspector, ashamed that I knew so little about the recent history of this country. Inspector Singh is growing in stature before our eyes – he may also be growing in girth, too – and he gets simply more and more delightful. 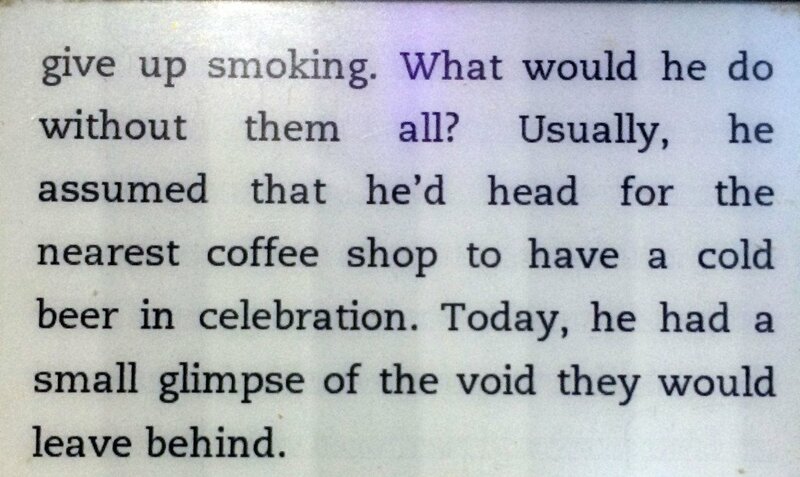 The ending of the book is spectacular. Another excellent novel, and one that I cannot recommend too highly. 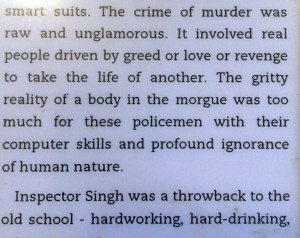 I am indeed becoming a bit of an Inspector Singh junkie, having just polished off the third in the series in the space of a week. And books 4-6 are downloaded and ready to go. As in the previous two novels, Inspector Singh has a sidekick appointed to work with him – and cleverly, this is never the same person – and it is always someone who is initially very uncomfortable around his unorthodox way of working. 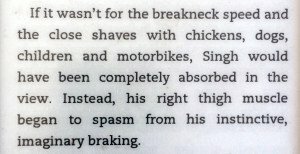 And this being Singapore, the young local policeman seconded to this murder investigation is beyond nervous at his boss’s unconventional approach and what it might do to his own shiny-new career prospects. 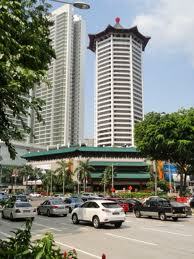 For this is, after all, Singapore, a place where there are relatively few murders, and hardly ever a high profile one. 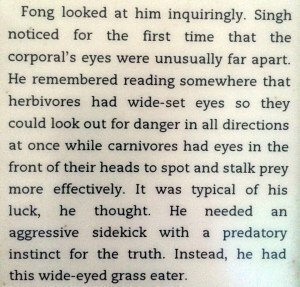 Singh, too, initially despairs of Corporal Fong, who keeps jumping to attention and is terrified of putting a foot wrong. 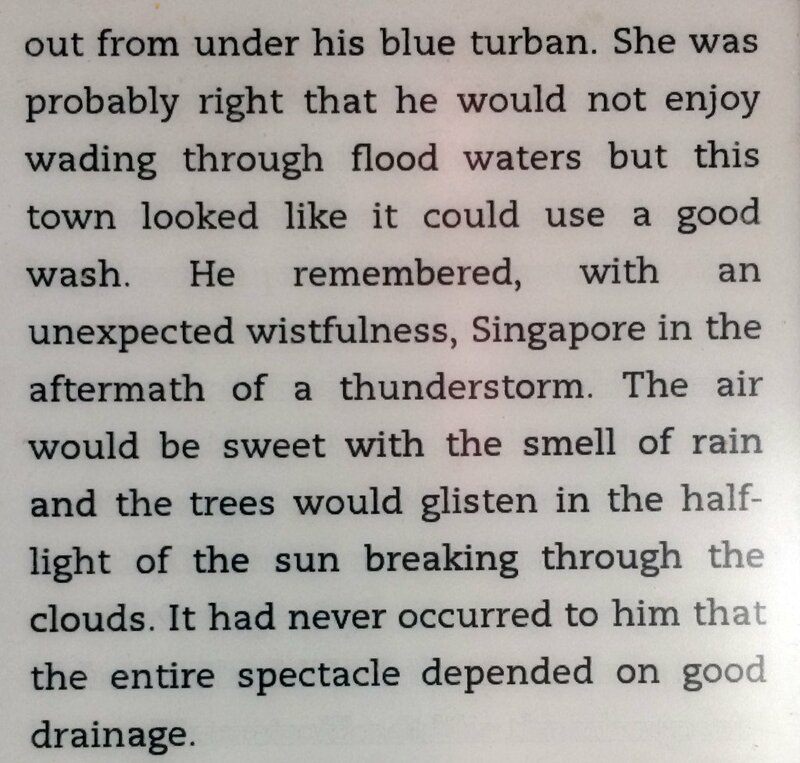 Ms Flint is, as ever, spot-on-perfect with he characterisation of the Chinese, the ex-pats, the Indians and the Filipinas who people this whodunnit. One suspects that she doesn’t have much time for the entitled culture of European ex-pats. 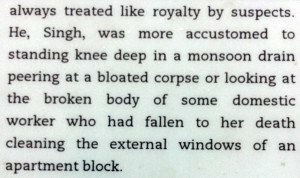 This third novel in the series brings us closer to understanding Inspector Singh the man, as opposed to Inspector Singh the cheerfully rule-bending policeman who irritates the living daylights out of his superiors. 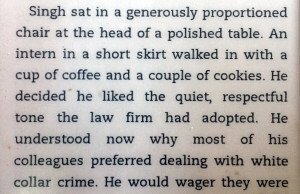 We see him, for example, in the presence of his wife, and sprawled in his comfy chair at home, and in this book, on his home turf, he seems to be more personally concerned about some of his suspects. 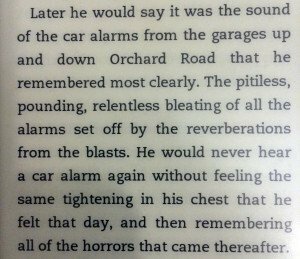 The end of the novel is bleaker and darker and more moving than anything we have seen of Inspector Singh thus far. 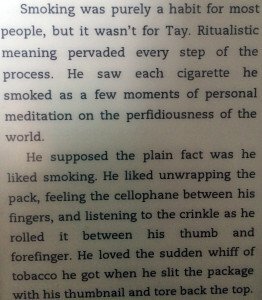 He becomes a more rounded character in this book (no pun intended), moving beyond his fat wheezy persona to a man with deep emotions, and he is all the more endearing for it. 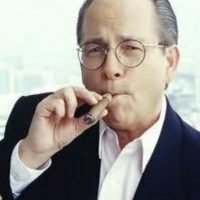 Anyway, that’s enough from me. 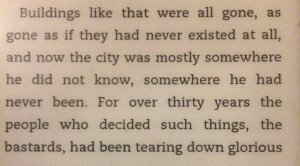 I’m worried that if I share any more thoughts with you I may inadvertently spoil the plot, which is – as ever – a cracker, keeping you guessing until the last chapter. 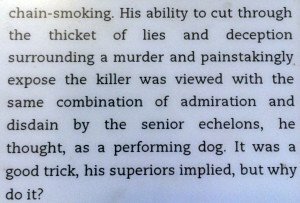 Actually, if I can boast a wee bit, I sort-of-guessed who the murder might be, but, like the good Inspector, didn’t want it to be true. Go on, order the book right now. You won’t regret it. And if you want to order Book 1 and Book 2, just click on the relevant links. Tell you, gotta love the internet and this whole global village vibe. 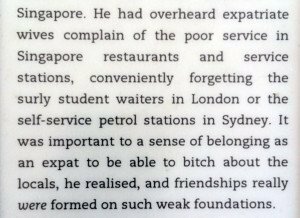 Here is the tale of an online comment from a South African friend in Cape Town, about a book I reviewed, sitting here in Delhi, about Shanghai (you are following me here?) 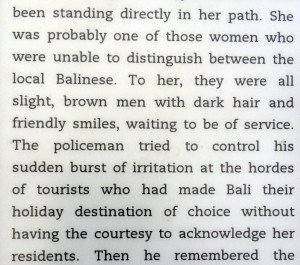 in which she recommended Shamini Flint’s books about a Singaporean detective. After reading just the first book, I am already a loyal fan. Books 2 and 3 already downloaded and ready to go. 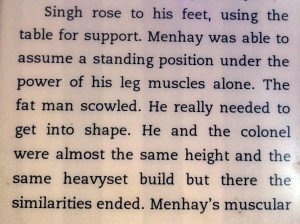 Inspector Singh is going to be a great character, and a hugely likeable one at that. I just know it. 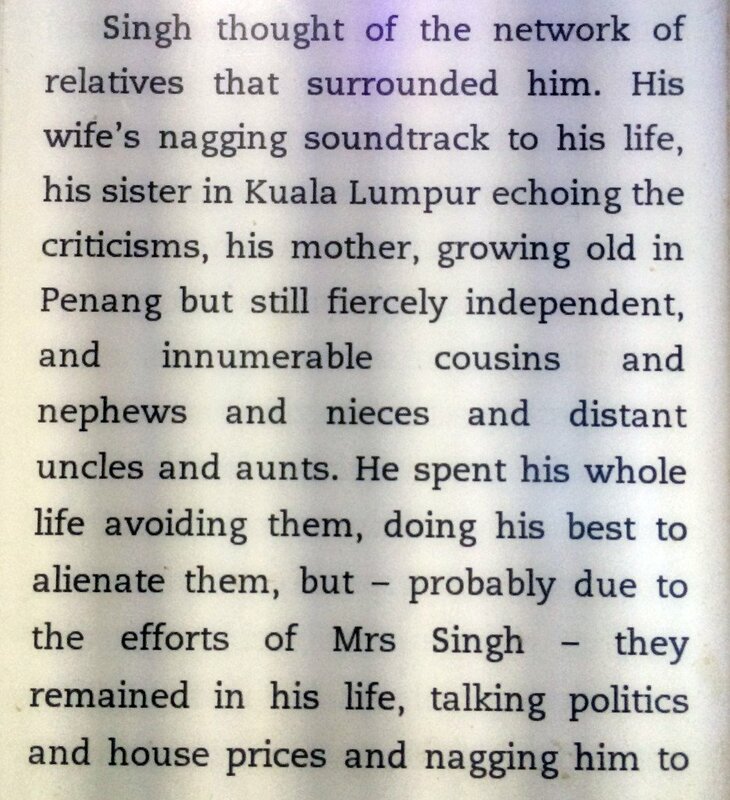 A middle aged, overweight Singaporean Sikh, we meet him at Changi Airport, waiting to fly to Malaysia, where he has been sent to work on a case that sounds distinctly like a poisoned chalice. Alan Lee, a wealthy Malaysian tycoon has been shot, and his estranged Singaporean wife, with whom he was locked in a bitter religious-based custody battle, has been arrested for his murder. 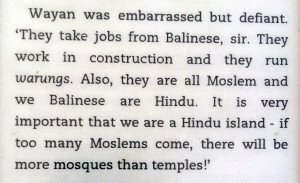 And that is why Inspector Singh is in Kuala Lumpur. To try and find who murdered Alan Lee and to try and protect the interests of his fellow citizen, Chelsea Liew. Inspector Singh is fully aware that he is regarded as an oddity in the Singapore police force – he knows he is considered as the unofficial “most likely to be forced into early retirement” candidate. And this tricky, convoluted case, which has all of Malaysia and Singapore gripped by its high-voltage drama and religious implications, is his, and his alone, to solve. Just look at Inspector Singh for a moment. 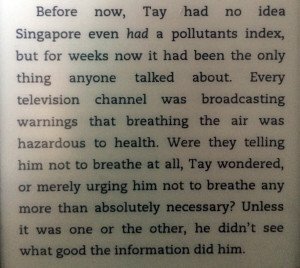 He is a smoker in Singapore, of all nanny states to live in. 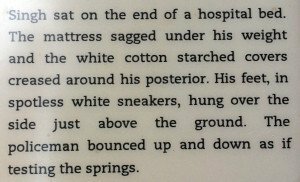 He wears white sneakers instead of sensible black shoes. He has (possibly) too many pens in his shirt pocket. 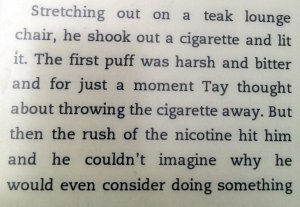 He eats too much, he smokes too much, and he really can’t be bothered with excessive procedure. 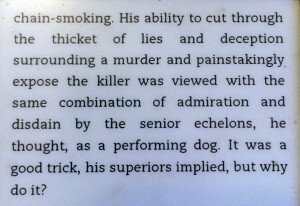 He is a guts feel copper of the old school, and only wants to get results – arrest the murderer – regardless of political fallout and considerations. 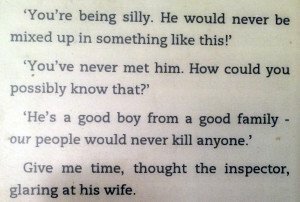 As I said, hugely likeable and an instantly great character. Ms Flint is a confident and eloquent storyteller, and shines lights on many aspects of Malaysia, as only an insider can. Religion, for one, and the frightening ramifications it can have for a family. The environment – the brutal deforestation of Borneo is a very palpable presence in this murder investigation. 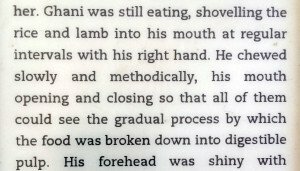 The author highlights cultural nuances and differences with a consummate light hand. 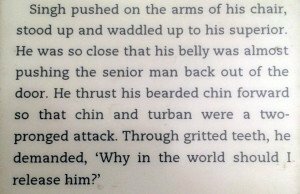 Inspector Singh – a Sikh, of Indian origin – is wearily aware of global ignorance about dark men in turbans. Chelsea Liew, caught up in a from-beyond-the-grave tale of horrors, develops before our very eyes from a resigned monosyllabic hostile victim to a woman of huge courage, whom we cheer for all the way – well I did, and as for the final glimpse we have of her…Don’t worry, no plot-spoiler here, but our final moments with Chelsea are heart-stopping and gripping, that’s all I’ll say. Read this great book for a thoroughly enjoyable whodunnit, as well as for a portrait of a country and her people. 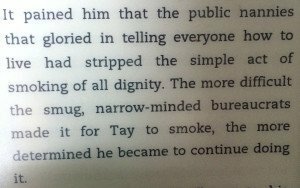 The good news: Inspector Samuel Tay of the Singapore CID is back, and is turning into a regular old curmudgeon. The bad news: since this third instalment in what I pray is going to be an endless series of novels, was only published a few weeks ago, there may be a bit of a wait now until the 4th book appears. No pressure, Mr. Needham, you understand. Oh Sam. What a bloke. 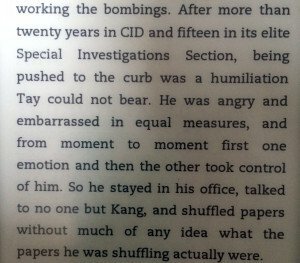 In this book, the Inspector hits 50, with only his resigned quietly likeable sidekick, the long suffering Sergeant Kang for company. 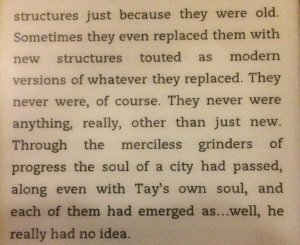 All of Sam’s old fogey-isms are now an inherent part of his character, and I, for one, love him all the more for them. The annoyingly familiar Emma – an American journalist – arrives at his doorstep to enlist his help in solving what she considers to be a mystery. A young American has been found hanging in his apartment. The Singaporean authorities say he committed suicide. She isn’t convinced. 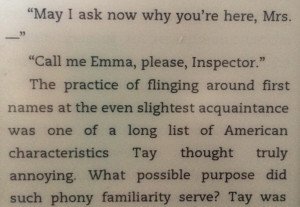 And against his initial better judgement, Sam Tay gets slowly dragged into the mystery as to why this young software engineer (working, to Tay’s befuddlement, on the technology behind driverless cars) would be murdered. 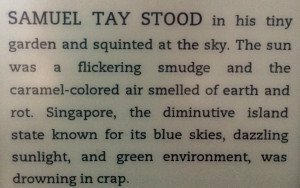 As we have now come to expect with these great whodunnits, Singapore is a brilliant backdrop. Way too clean and orderly for Sam’s liking, and full of people too ready to accept the official line, and then toe it. 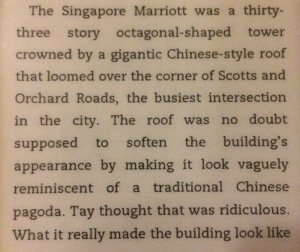 We walk through lobbies and coffee shops, we walk along the river front, we see the “new” Singapore through the eyes of Sam, who hankers for the old days. 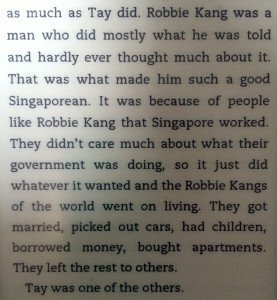 In what his now his trademark style, the author seamlessly mixes real Singapore with fictional characters, an extremely effective technique. We also meet Sam’s mother, who is fast becoming a bit of a rockstar in her own right. (You’ll see what I mean when you read the book.) 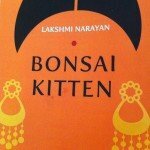 And read it you should, if you love good witty writing that makes you smile all the time, a brilliant unconventional detective, and an insight into how one of Asia’s most successful countries tick. 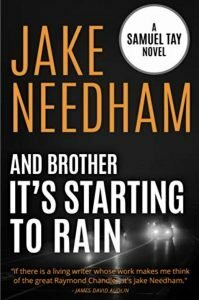 I’m also a big fan of Jake Needham, who has managed to irritate a country, and get himself into a bit of a spot in the bargain. Let him tell you in his own words. If you would like to buy “The Dead American”, just click below. Technology that might well perplex Sam, but you all know how it works. And as you now realise, it’s only available as an e-book. And this week, guess what, I read about Google’s driverless cars.